HOME > Latest > Facebook Inc set its final price at $38 a share, as the social network gets ready for its initial public offering on Friday. Facebook Inc set its final price at $38 a share, as the social network gets ready for its initial public offering on Friday. The social network shares haven been priced at the top end of the range it set earlier this week, when it said it would price its IPO at $34 to $38 a share from $28 to $35 a share, in a sign of the tremendous investor appetite for the offering. At $38 a share, Facebook is valued at $104 billion, the biggest-ever valuation by an American company at the time of its offering. Facebook is set to raise $18.4 billion from its IPO, becoming the second-largest U.S. IPO of all time behind Visa Inc.’s 2008 offering that brought in $19.65 billion, according to Dealogic. The price was set only a short time before it was announced. Earlier in the day, Facebook executives and senior bankers on the deal were holed up in a meeting discussing the price, said people familiar with the matter. The company tried floating higher numbers to investors but was rebuffed, said one of the people. The Menlo Park, Calif., company’s shares are set to start trading on the Nasdaq Stock Market on Friday morning with the stock symbol FB. Facebook’s IPO is a crowning moment for Silicon Valley’s latest tech boom. Last year, Web companies including LinkedIn Corp., Groupon Inc. and Zynga Inc. went public in the first sustained drumbeat of Internet offerings for years. That has continued this year, with Internet companies such as Yelp Inc. going public, while enterprise-technology companies such as Splunk Inc. also staged strong IPOs. Other Web companies that are still closely held, such as Twitter Inc. and Dropbox Inc., are viewed as possible IPO candidates in the future. Facebook’s final pricing comes amid recent financial disclosures that threw some cold water on the ballyhooed IPO. Last month, the company reported that its first-quarter sales fell 6% from the fourth quarter to $1.06 billion, while profit slumped 32% to $205 million over the same period. Earlier this week, The Wall Street Journal reported that General Motors Co. plans to stop advertising with Facebook after deciding that paid ads on the site have little impact on consumers’ car purchases. The move raised questions about Facebook’s online advertising business, which currently generates the bulk of the company’s revenue. Still, Facebook remains one of the few firms among the recent crop of Internet start-ups making public debuts that is profitable. In 2011, Facebook posted a profit of $1 billion and $3.7 billion in sales, compared to a loss of $56,000 and $272 million in sales as recently as 2008. And Facebook enjoys the highest profile of the recent generation of Web firms, with an audience of more than 900 million users globally, which by itself would make it the third-most-populous nation in the world. That giant user base was built in less than a decade; co-founder and Chief Executive Mark Zuckerberg founded Facebook in his Harvard University dorm room in 2004. Anticipation for Facebook’s IPO has built to frenzied levels in recent weeks. In a sign of the intense interest, Facebook said Wednesday it would boost the size of its IPO by 25%, or about 100 million shares, as early investors sell as much as $3.8 billion in additional shares. Goldman Sachs Group Inc., Tiger Global Management and Facebook director Peter Thiel—who was one of the social network’s first investors—more than doubled the amount of stock they plan to sell. 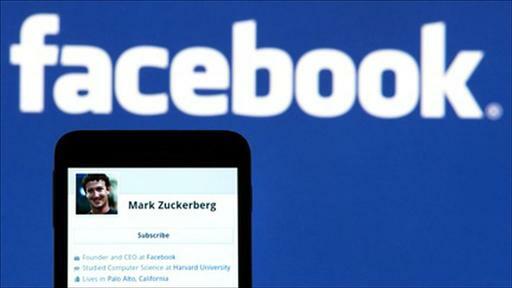 Neither Facebook itself nor Mr. Zuckerberg are changing how many shares they will offer. Mr. Zuckerberg is selling shares worth up to about $1.2 billion in the IPO, and his personal stake after the offering will be worth up to $19.1 billion. Even before Facebook filed papers for an IPO in February, the firm’s shares were in high demand. Facebook stock was being traded on the secondary market—where sellers of shares in private companies can link up with buyers, usually with a company’s permission. Dennis Berman joins Mean Street to discuss which investors are in and which are out as Facebook faces its IPO Friday, and why it spells a gloomy forecast for the social media giant. Photo: Reuters. Before trading in Facebook was stopped on secondary platform SharesPost at the end of March, the shares were auctioned for $44.10, implying a total company valuation of nearly $103 billion.